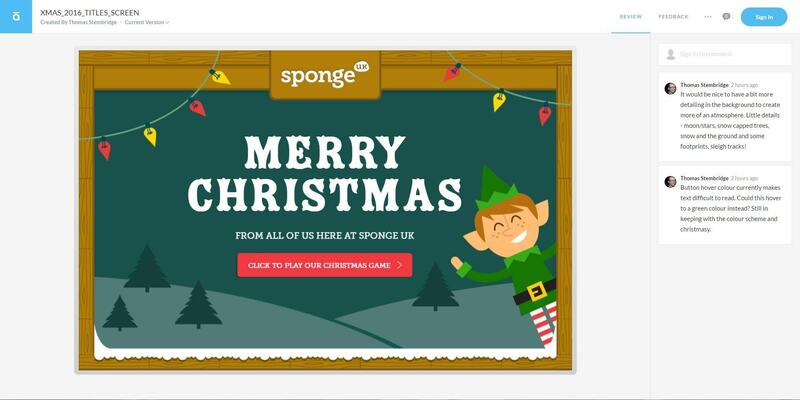 Play the Sponge UK Christmas game and discover how to create new types of games with complex interactions using the new features in Articulate 360. Learn about the new ways eLearning designers can use Storyline 360 to create more engaging games. Articulate released the latest generation of their eLearning authoring suite in November. It’s called Articulate 360 and it features brand new products as well as updates to existing favorites. Articulate 360 also marked a departure from the stand-alone software licensing model and the start of a subscription based package. When you sign up for a yearly subscription you get the latest versions of Storyline, Studio and Replay as well as access to the new apps Rise, Preso, Review, and Peek and the new content library. Storyline 360 is Articulate’s most popular eLearning authoring tool, it’s user friendly enough for non-technical learning designers to produce basic courses quickly. Part of the appeal of the software is the ability to extend the built in features with custom designs and code. With some technical expertise it’s possible to create completely custom interactions that help drive learner engagement. Creating games is one way to enhance the learner experience and introduce concepts in an engaging way. For this experiment the aim was to use some of the new features of Storyline 360 to create an engaging game. There is no learning objective in this case, but the techniques used here can be applied to learning games. When you’re following this blog post we recommend playing the game yourself, it’s available through this link. In the Christmas game, players help Santa wrap presents by firing them into the gift-wrapping department. Then, they must deliver them down the chimney without hitting the walls or ledges. Dials are a new way for learners to interact with your course, there are lots of ways they can be used and Articulate offer two pre-built options for simple dials within Storyline 360. 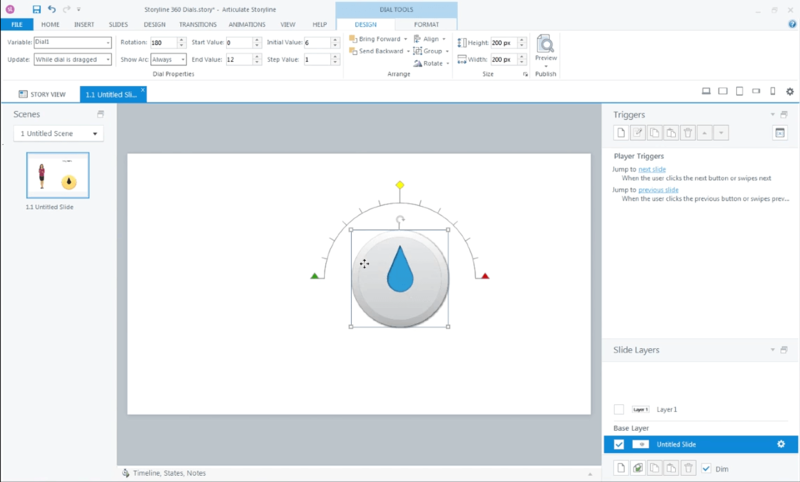 The dial interaction is fully customizable, allowing learning designers and developers to create any kind of rotating object in their Storyline 360 project and use its position to affect other variables. In the case of the Sponge UK Christmas game it allows a canon to be aimed with precision at a variety of angles before the present is fired when a sliding power meter is activated. The angle and power are used to calculate the trajectory of the present as it flies towards three targets with different point values. Interactions like the dial make it much more intuitive for learners to interact with rotating objects and see the effects of their movements, but they’re not essential for this type of game. One new feature which should be exciting for anyone wanting to create games in Storyline 360 is the ability to trigger an event when two objects intersect or collide. Being able to detect the intersect of two objects allows us to keep score during the first stage of the game depending on which target that the present hits. There were teething problems with the object collision detection which had to be overcome for the final game. With any brand new software there’s likely to be issues and bugs that need to be addressed once it’s out in the wild for developers to play with. Articulate have been responsive and open to their large developer community in the past when issues have been found. The second stage of the Christmas game involves steering a present down an obstacle filled chimney. When the present hits a ledge, tree or the side of the chute you lose a life. The intersect trigger is used here in combination with a custom slider which controls horizontal movement of the present. The Christmas game project used Storyline 360 to create the game itself, but it’s not the only authoring tool that’s bundled with the new Articulate 360 package. Rise is the new responsive authoring tool for creating one course that you can access on desktop or mobile devices. The tool shows a lot of promise for time sensitive projects, allowing non-technical learning designers to quickly create something that works on many devices. Currently Rise is not suitable for the type of advanced interactions that games require, if you want to create a truly responsive learning game your best approach is to use an HTML5 game framework like Phaser and embed that into your learning. During production of the game the team made use of the new Articulate Review app to share design ideas and feedback. Client review processes could be made simpler by using the Articulate system in the future, but it does require anyone viewing or commenting on the project to be logged in. If your current workflow involves collaboration with different teams and clients you might already be using a tool like Invision to help. Whilst more generic tools are valuable when you have to deal with assets and parts of the course which lie outside of the Articulate 360 ecosystem, there are certainly advantages to Review for self-contained projects like this game. Articulate Review being used to gather feedback on the opening screen. Seeing the actual output and having the option to skip through different pages and sections whilst adding comments to the same screen takes a lot of the pain out of a review. Being able to preview the course or project in the same page has other advantages too, it’s the perfect way to share information on potential bugs with the Storyline software alongside a live example. 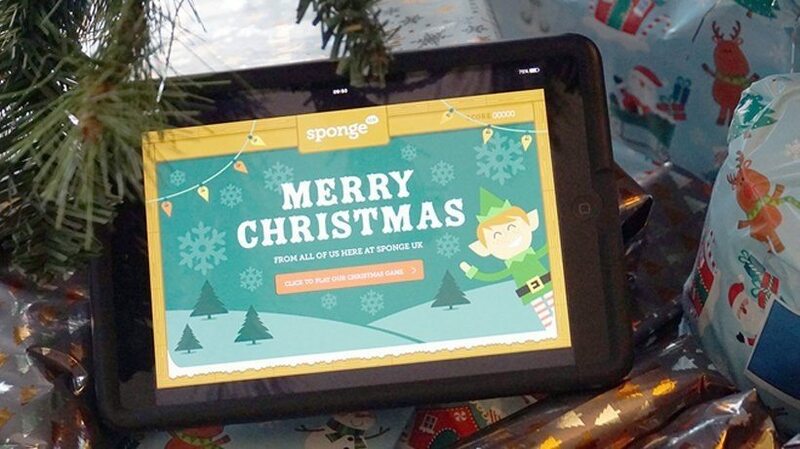 Take a closer look at the different interactions in the Sponge Christmas game and try and get your name on the leader board.